“[Deep Impact is] almost a lesson,” said NASA astronaut Tom Jones. “To find a movie that was accurate to asteroid physics was a nice surprise.” Hey, if a real-life Space Cowboy says it’s on par, it’s getting put on the list. It gets the nod here for a few other reasons, too. First, the whole ‘amateur astronomer discovers the doomsday comet’ thing is believable, as non-pros contribute quite a bit to the astronomical community. Next, the government’s plan to divert the comet with a nuclear missle is probably exactly what we would have come up with back in 1998. Or 2016. Whatever. 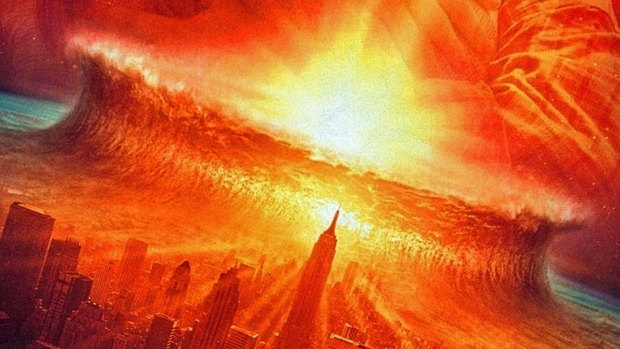 Double next, the catastrophic super-tsunami that occurs after fragments of the comet splash down in the Atlantic is considered highly accurate by one particularly well-known authority on science, Neil deGrasse Tyson. Lastly, Deep Impact accurately predicted our first black President. I see you, Morgan Freeman.